The Frigidaire Gallery Induction Cooktop combines the power of gas with the easy clean-up of electric to give you the utmost cooking flexibility. 70% more efficient than gas and 20% more efficient than electric, induction cooking offers more responsive temperature control at low and high heats, so it's gentle enough to melt chocolate and powerful enough to boil water. Induction elements are compatible with most stainless steel and cast iron cookware - if a magnet sticks to the bottom of a pot or pan, then consider it induction friendly! Take your culinary skills to the next level with the Café 36-inch built-in Glide Touch control induction cooktop with WiFi connect. This attractive flagstone grey cooktop offers Gourmet Guided Cooking which combines with video-guided recipes from chefs to adjust time, temperature and cooking pace for perfect results. Manage up to 5 pans at once with the multi-element timer, gently melt delicate foods with melt setting to prevent burning and scorching and get protection from unintended access with control lock capability. The cool white ceramic of the Alpine series gives a stylish custom quality look to any kitchen. Opaque, durable, and easy to clean, with distinctive Alpine graphics and safety features uniquely Kenyon. Both one and two burner models available in 120, 208 and 240 volts, with push-to-turn controls, infinite heat control and quick-to-heat radiant ribbon elements. Safety features include heat limiting cooking surface protectors, an On indicator light for each burner, and a Hot burner indicator light. And as all Kenyon products, backed by uncompromising quality and an exclusive 3-year replacement warranty. Winner of the esteemed Design Journal Gold Award for Design Excellence. 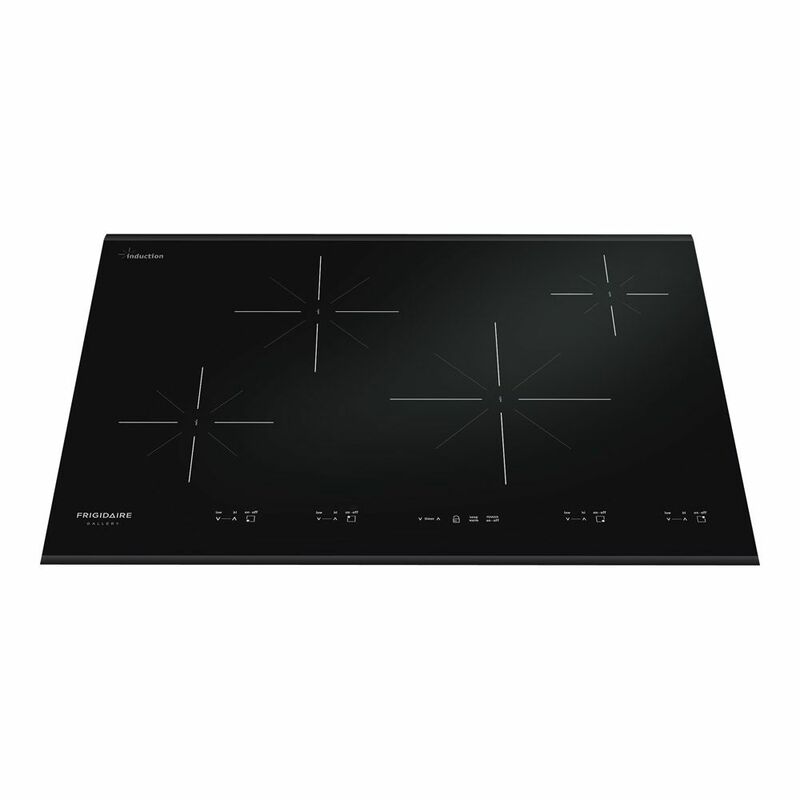 Gallery 30-inch Smooth Induction Cooktop in Black The Frigidaire Gallery Induction Cooktop combines the power of gas with the easy clean-up of electric to give you the utmost cooking flexibility. 70% more efficient than gas and 20% more efficient than electric, induction cooking offers more responsive temperature control at low and high heats, so it's gentle enough to melt chocolate and powerful enough to boil water. Induction elements are compatible with most stainless steel and cast iron cookware - if a magnet sticks to the bottom of a pot or pan, then consider it induction friendly! Gallery 30-inch Smooth Induction Cooktop in Black is rated 4.5 out of 5 by 100. Rated 5 out of 5 by Leiter47 from Love my new cooktop! I have been using this appliance for about 6 weeks. I am completely satisfied with it. It was an easy installation for my husband. Using it has surpassed my expectations. I especially like the "power boost". I love that it is easier to clean than my previous electric cooktop.